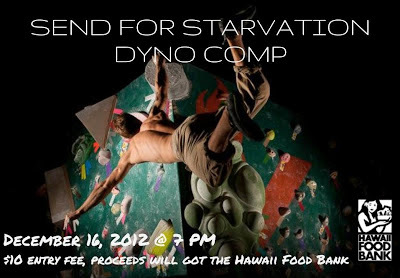 Volcanic Rock Gym: END OF FOOD DRIVE DYNO COMP!!! END OF FOOD DRIVE DYNO COMP!!! We want to thank everyone who have brought in canned goods and climbed! There is a total of $599.25 raised with 4 more days till the end of our food drive and we plan on ending it with a BIG LEAP! 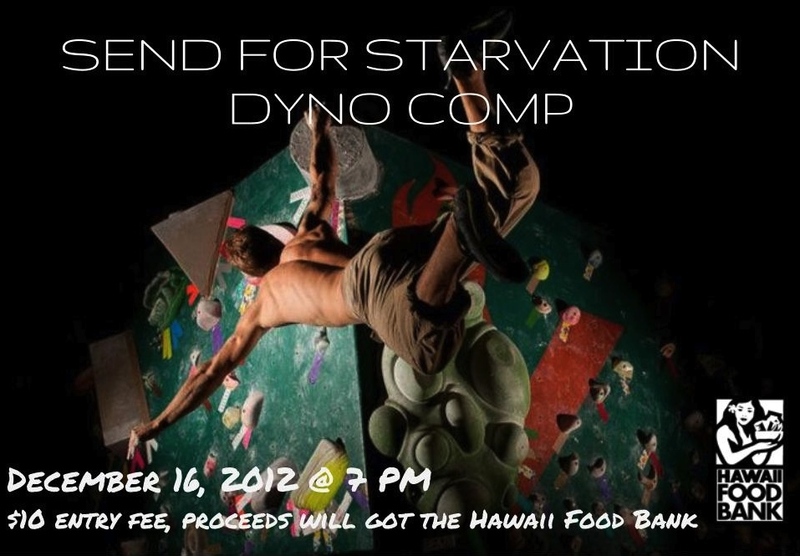 A Send For Starvation Dyno Comp will be held on the 16th of December at 7 pm to finish off our Climb For The Hungry food drive! With every entry fee, fifty percent of it will be going to the Hawaii Food Bank. We will also be holding a pot luck and prizes will be given out to our DYNO winners! Bring your game face, canned goods and join us for our EPIC dyno comp!